“Zombie Bohemia” is the story of Michael, a struggling New York City artist, who just happens to be a zombie. Played by New Yorker, Shawn James, Michael is trying to find balance between his drive to produce memorable, inspired art while also being plagued by the underlying needs and urges of a zombie. In short, he is trying to gain approval and respect from the very people he is biologically wired to consume. “It’s not a typical ‘Zombie eat your brains out’ type of thing… Michael is a zombie with feelings and emotions. The people that surround Michael make up a real, functioning world that any artist might live in… they’re not just running for their lives from him,” said Director Vince Brando. 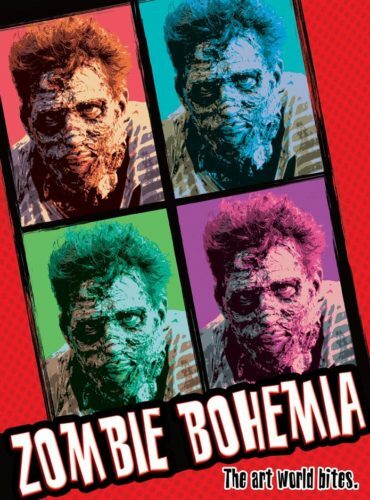 According to Brando, “Zombie Bohemia” crosses several genres, and would appeal to anyone attracted to zombie movies in general, horror movies, and comedy. It has a reality TV type of feeling, and featuring a cast of quirky and entertaining characters. There is plenty of humor, with more depth than slapstick. “Zombie Bohemia” is the second short film by Two Man Island Productions. Their first short film, “Hushed” was featured at several film festivals, and screened in the Short Film Corner of the Cannes Film Festival in 2010. The company hopes to take “Zombie Bohemia” to festivals in 2012. “Zombie Bohemia” was produced by Mark Bell and written by Vince Brando and Chris Magdalenski. Featured actors include James, Will Carey, Tim Urian and Havilah Imfeld. Make sure to keep an eye out on Slasher Studios for more updates.